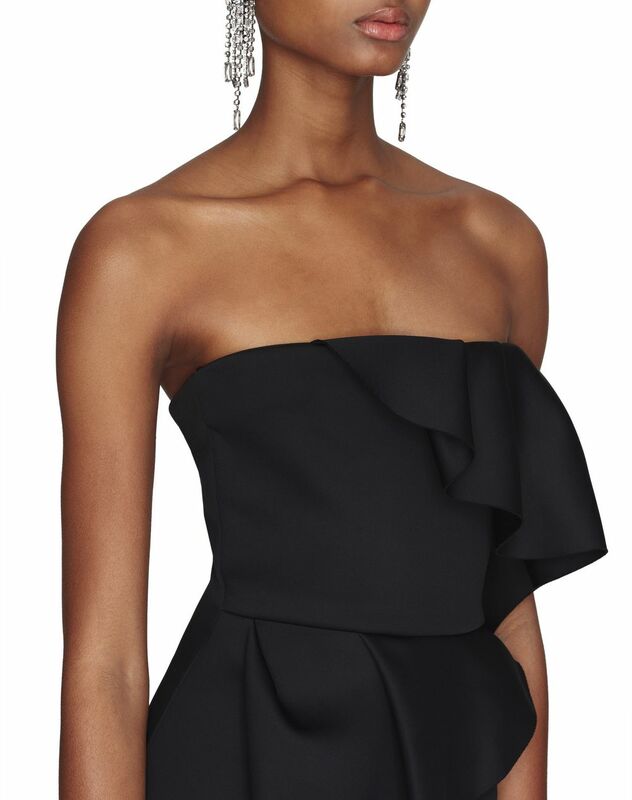 Short bustier dress in black neoprene, asymmetrical ruffle insets, cinched waist and a lacquered zip appliqué on the side. 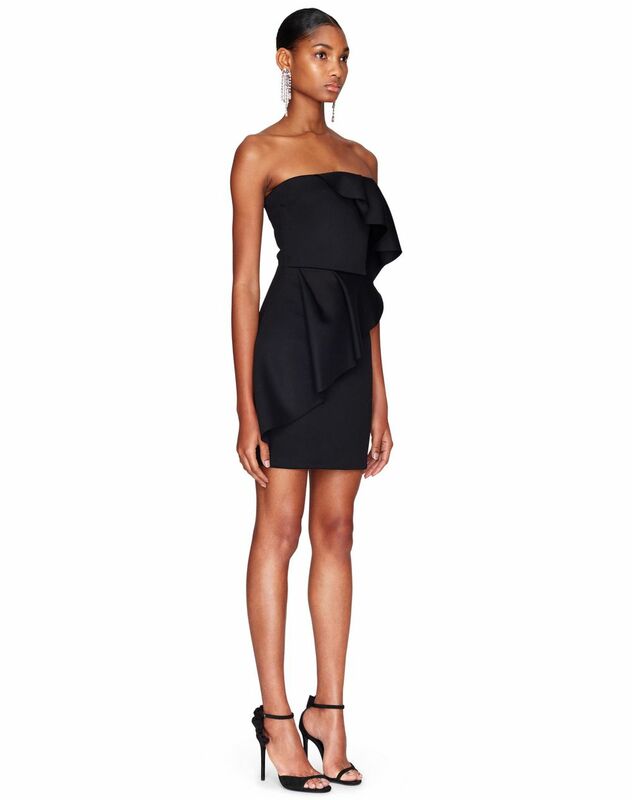 This black neoprene bustier dress stands out for its asymmetrical cut and its ultra-comfortable material. 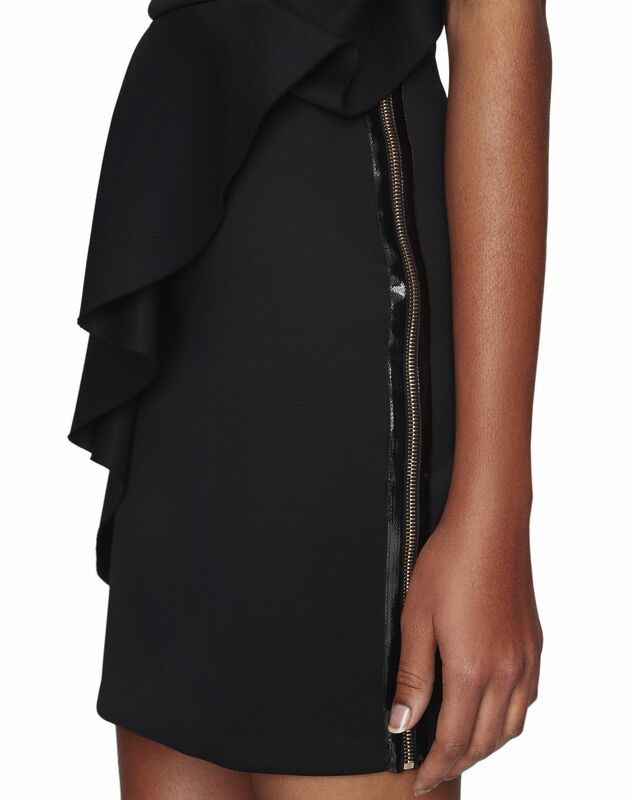 Embellished with asymmetrical ruffle insets and a lacquered zip appliqué that contrasts the matte effect of the neoprene, this dress will hug your curves perfectly for a decisively feminine look.